I've said it before and I'll say it again: I absolutely love the GB Millennium stamps! Especially the 1999 series which was divided into twelve tales, each highlighting a different aspect of the Millennium. And with the recent discovery by a scientist from Edinburgh University of the Higgs boson particle, yet another mind-boggling breakthrough in science, what better excuse to have another look at one of those Millennium sets: that of the Scientists' Tale?! As with all the Millennium sets, there are four stamps in each set. 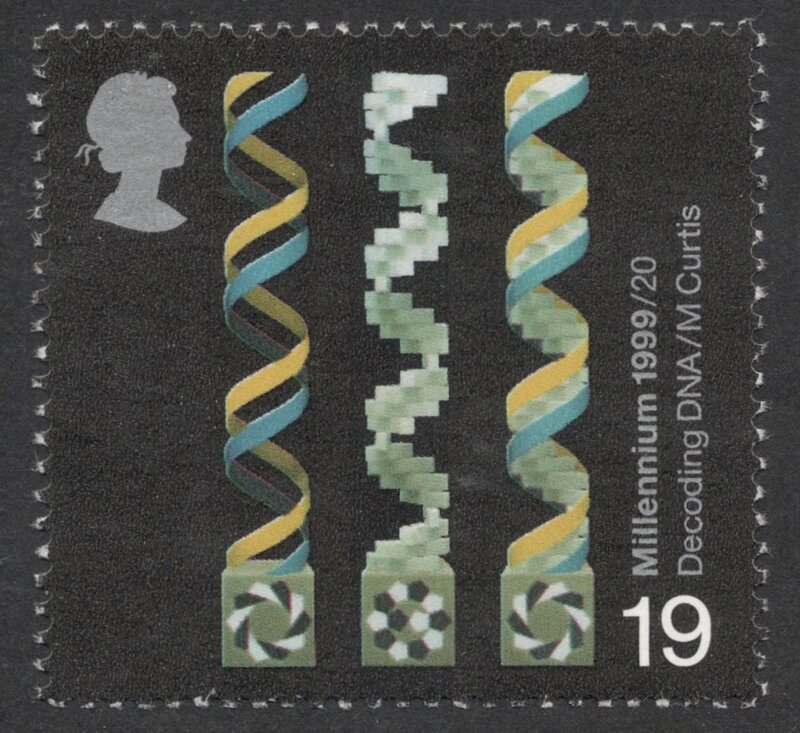 This particular one starts off with the 19p stamp depicting molecular structures. 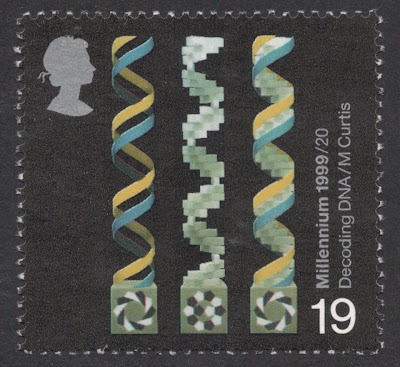 The design is by Mark Curtis and focuses on DNA decoding. Simply put, the discovery of DNA (Deoxyribonucleic acid) led to the discovery of genes which in its turn led to the possibilities to modify them, which could be applied to cure diseases. This DNA was discovered in 1869 by a small group of British scientists. 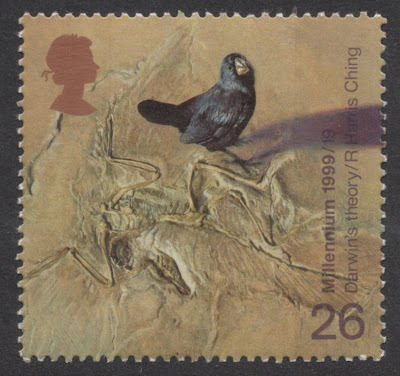 The 26p depicts a Galapagos Finch and a bird fossil. 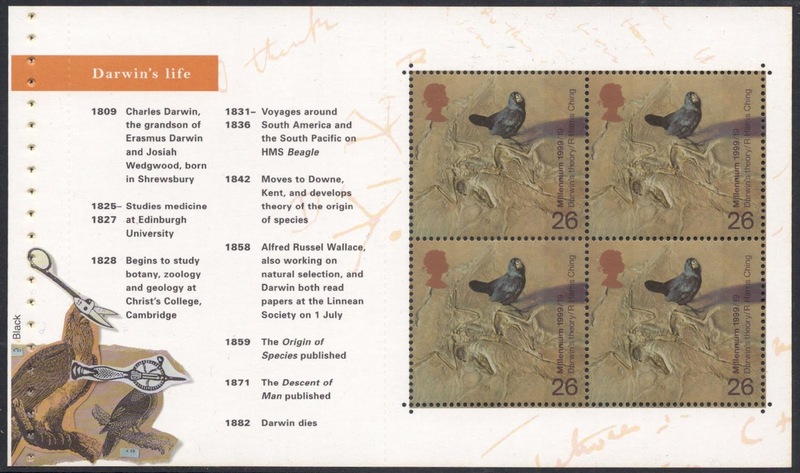 It pays tribute to Darwin's Survival of the Fittest idea, which is part of his Theory of Evolution. This idea should not be described as 'only the strongest will survive' but as 'only those that are able to reproduce themselves will survive'. Scientists nowadays prefer to speak of 'natural selection' rather than survival of the fittest. The design is by Ray Harris Ching. On the 44p we see an electrical generator, paying homage to Michael Faraday's work on electricity. 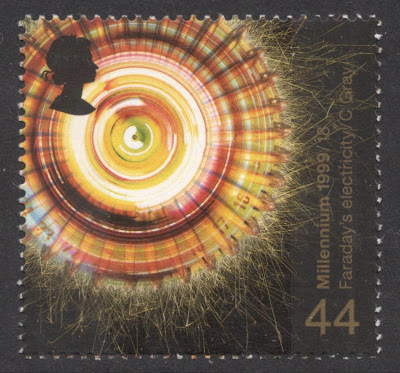 The design, by Colin Gray, shows the Faraday Disk rotating to convert mechanical energy to electrical energy. 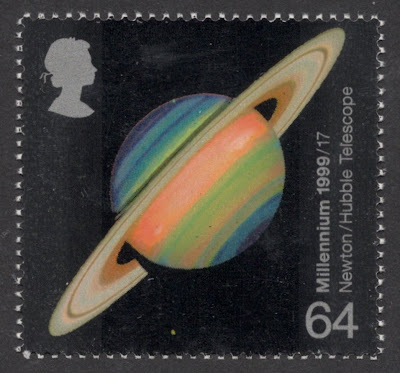 The final stamp of the set, the 64p, is a photograph of Saturn, made by the Hubble Telescope. The stamp is a tribute to Sir Isaac Newton and the development of astronomical telescopes. Newton is well-known for his work on light and spectrum which led to the development of his 'reflecting telescope'. 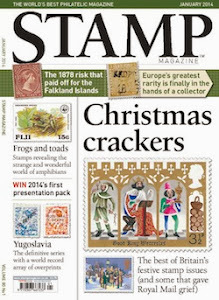 Although for sheer beauty of design alone these stamps should win you over, it is possible to go a bit further and add a few more niceties to your collection. 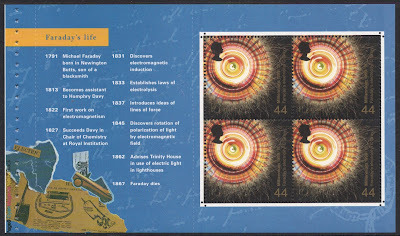 Two of the stamps were also included in a prestige booklet called 'World Changers'. In that booklet there is a pane dedicated to Darwin and a pane dedicated to Faraday. 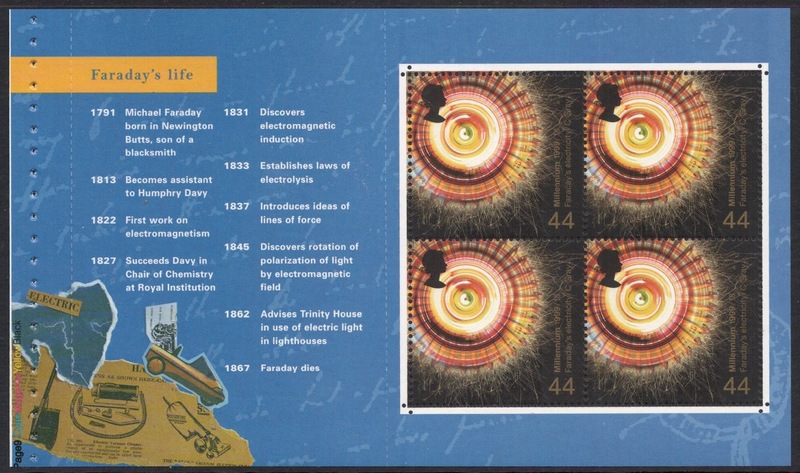 Both panes include various momentous events in the scientists' lives, which add a lot of interest to the theme of the set. 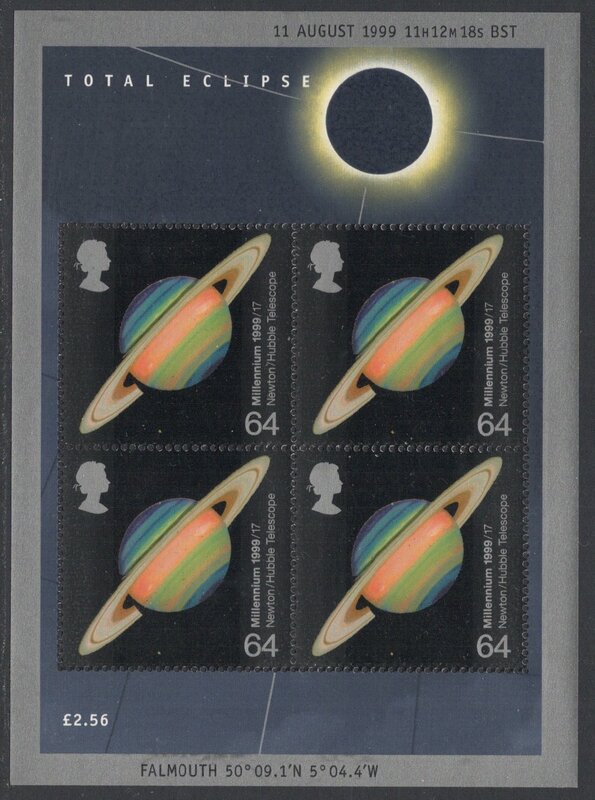 And finally, the 64p was used again for a miniature sheet issued to mark the solar eclipse of 11 August 1999. So you see, collecting commemoratives can sometimes be just as much fun as collecting definitives! An interesting set. But I would say that - I'm a scientist!